(Newser) – Harry Dean Stanton died Friday at Cedars-Sinai Hospital in Los Angeles at the age of 91, TMZ reports. The longtime character actor was memorable in roles in Pretty in Pink, Alien, Escape from New York, Godfather II, The Green Mile, Big Love, Repo Man, Cool Hand Luke, Twin Peaks, Wild at Heart, and countless others. In fact, the Hollywood Reporter, which calls Stanton the "quintessential American actor," argues he was memorable in pretty much every role he took. Stanton, born in 1926 in Virginia, served in the Navy during WWII and fought in the Battle of Okinawa. He got his first TV role in 1954 and jumped into movies in 1957, Variety reports. His acting career would span six decades. 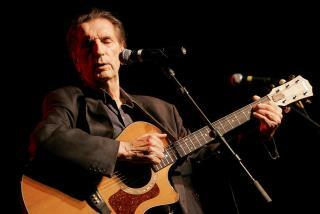 He was also an accomplished musician, performing regularly with The Harry Dean Stanton Band. To your memory Harry! The Drink's on me! We all die but few of us truly live. RIP Harry Dean Stanton.